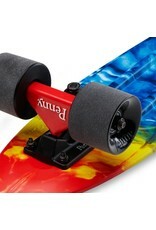 The Rainbow Bridge 22" cruiser is a new take on tie dye. 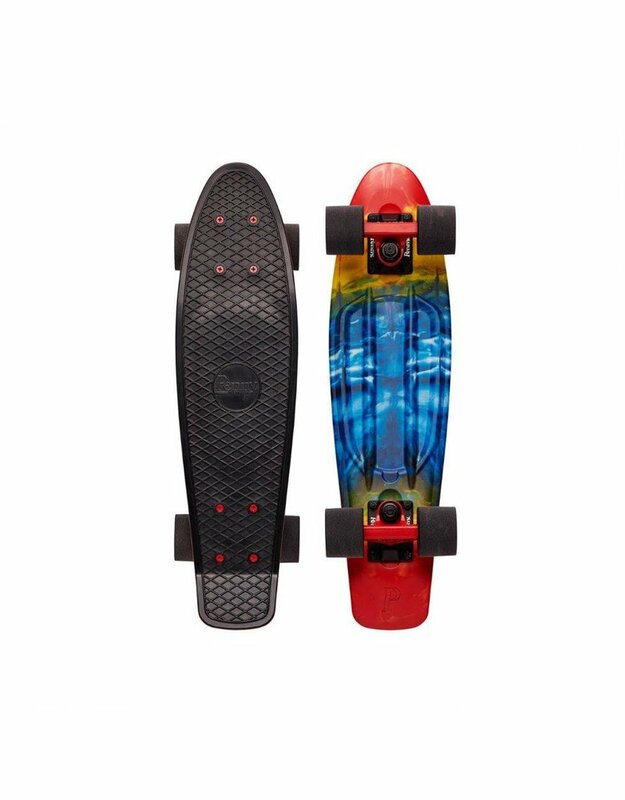 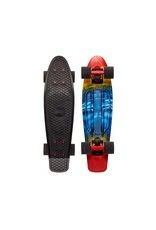 Our classic black cruiser deck on top with a red/blue/yellow tie dye graphic wrap on the bottom, the Rainbow Bridge is the ultimate travel companion. With our tried and true secret plastic formula and limited lifetime warranty, this is a skateboard you can trust. 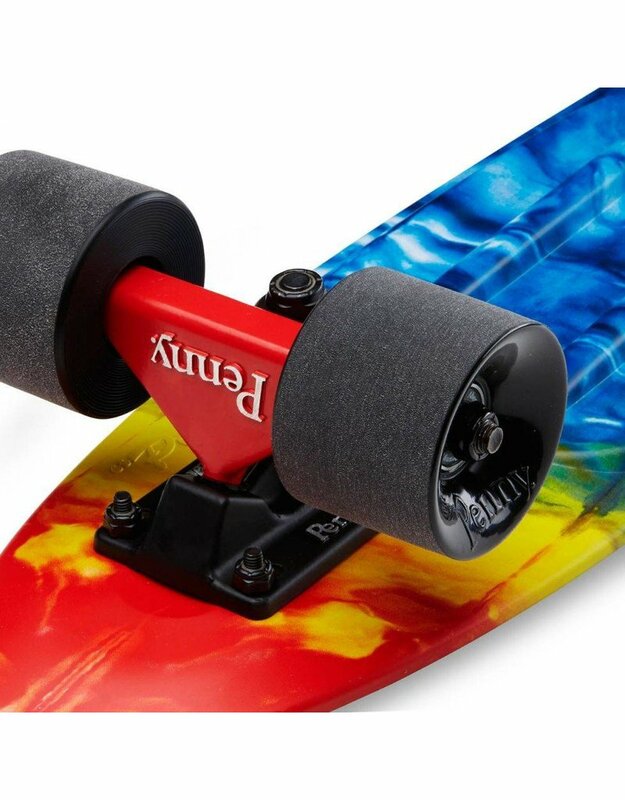 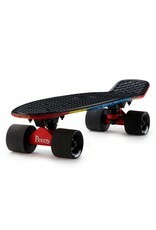 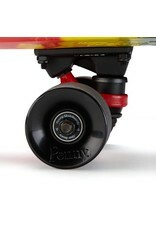 Trucks and Cushions- Trucks with red hangers and black baseplates complete the theme of this Penny 22" board. 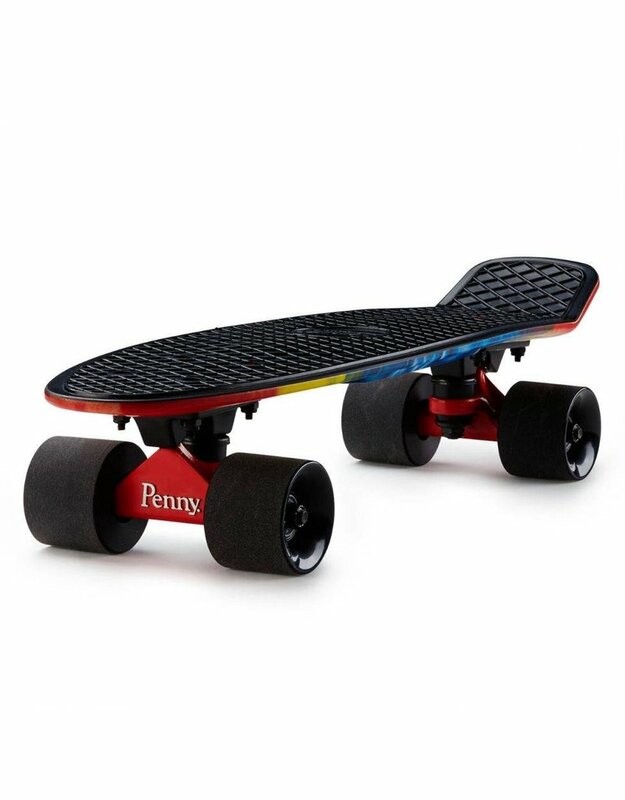 The high-quality aluminium construction of Penny trucks keeps your ride light and strong, while the cushions make sure you're ready to carve. 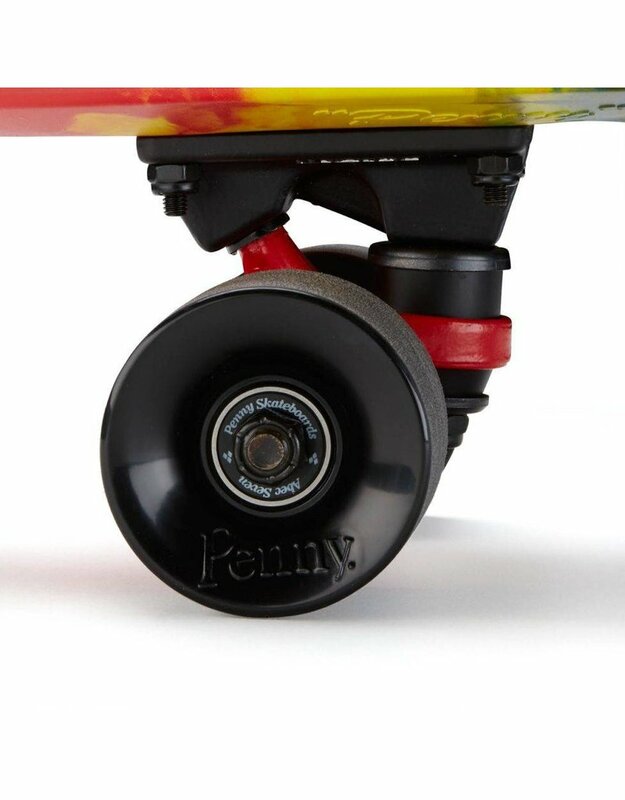 Tighten them or loosen them to suit your riding style. 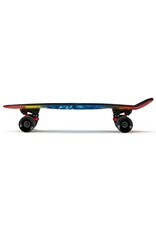 Bolts- The 22" Rainbow Bridge features red high tensile deck bolts.